Beijing rejected that ruling by the Permanent Court of Arbitration, which invalidated China's claim of sovereignty over most of the South China Sea. 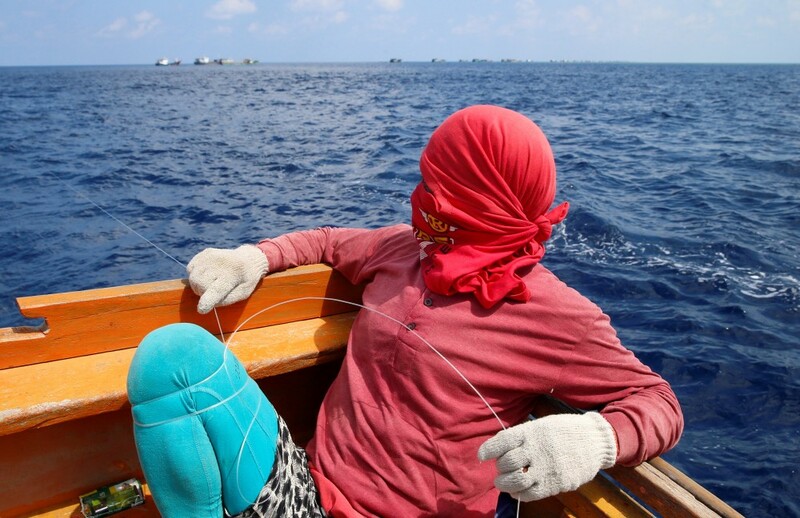 SCARBOROUGH SHOAL, South China Sea (Reuters) – Far out in the South China Sea, where dark blue meets bright turquoise, a miles-long row of fishing boats anchor near Scarborough Shoal, backed by a small armada of coastguard projecting China’s power in Asia’s most disputed waters. 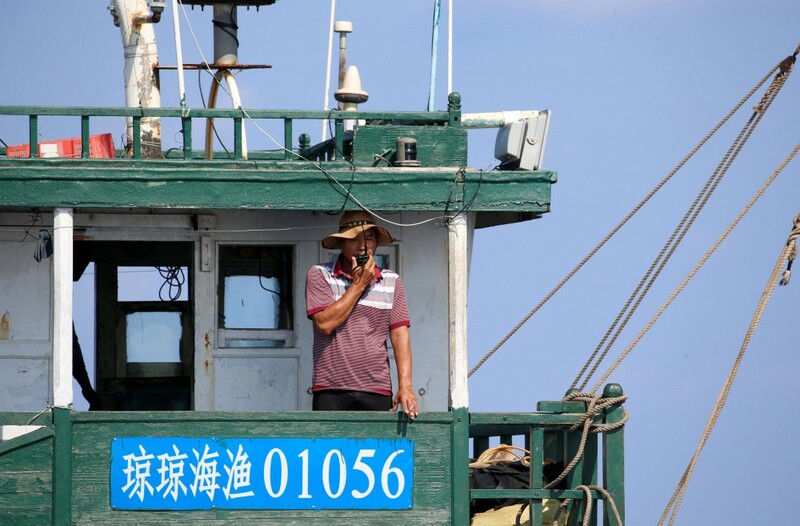 China still calls the shots at the prime fishing spot and has boosted its fleet there, nine months after an international panel ruled its blockade of the lagoon was illegal. Beijing rejected that ruling by the Permanent Court of Arbitration, which invalidated China’s claim of sovereignty over most of the South China Sea. 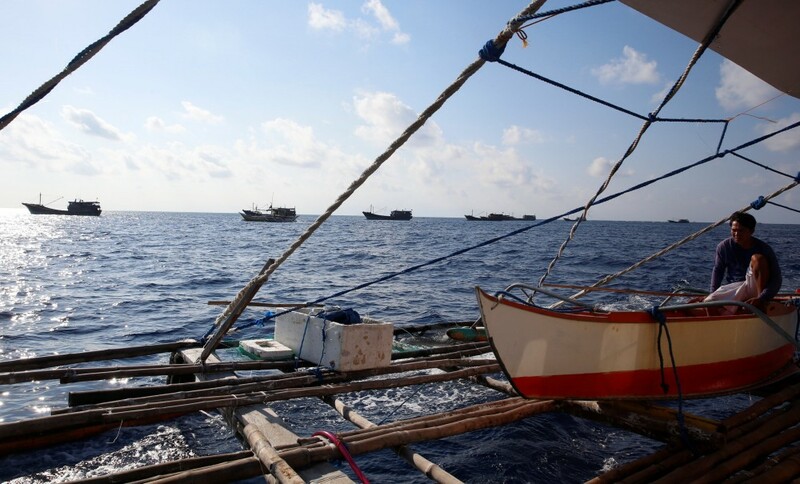 But the presence of Philippine boats dotted between Chinese vessels shows a degree of compliance with the ruling. Overtures from Philippine President Rodrigo Duterte, who is negotiating billions of dollars worth of loans, investments and trade deals with China, may have helped. 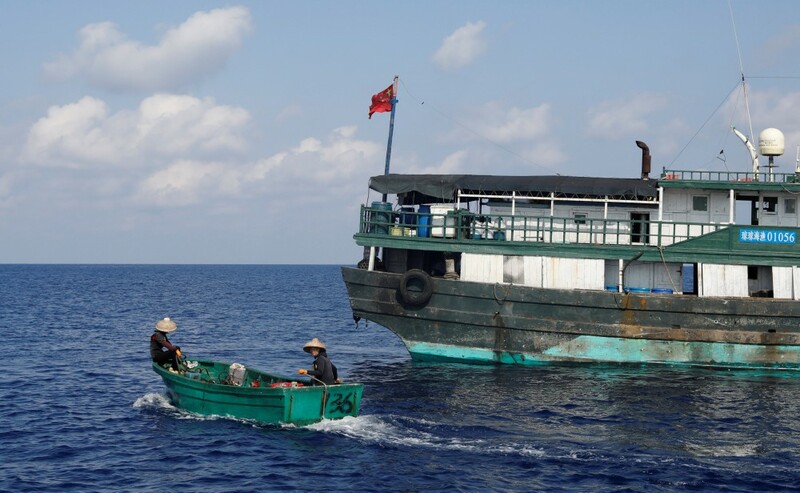 China stopped repelling Filipino boats in October and allowed them to fish on the edges of the rocky outcrop, 200 km (124 miles) from the Philippines. Now it appears to be easing restrictions further. 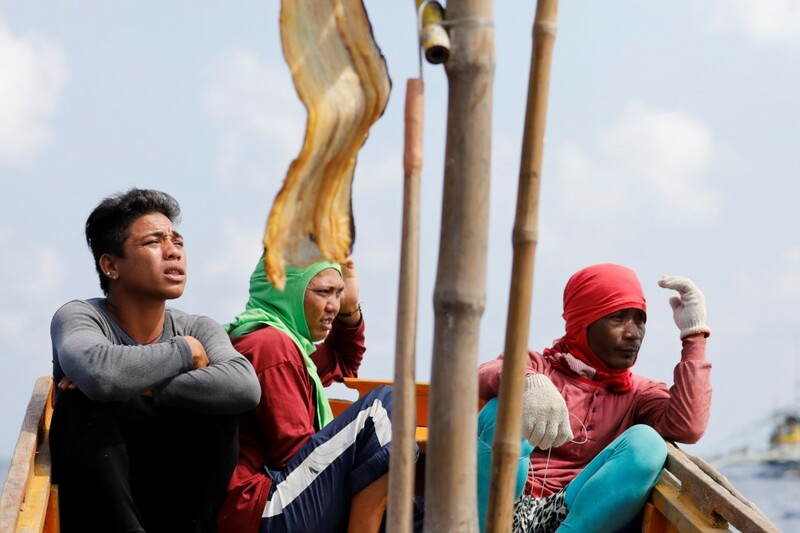 Reuters journalists last week entered the Scarborough Shoal itself – the first access by foreign media since China seized it in 2012 – and witnessed dozens of small boats shuttling day and night into the lagoon to capitalize on its rich fish stocks. 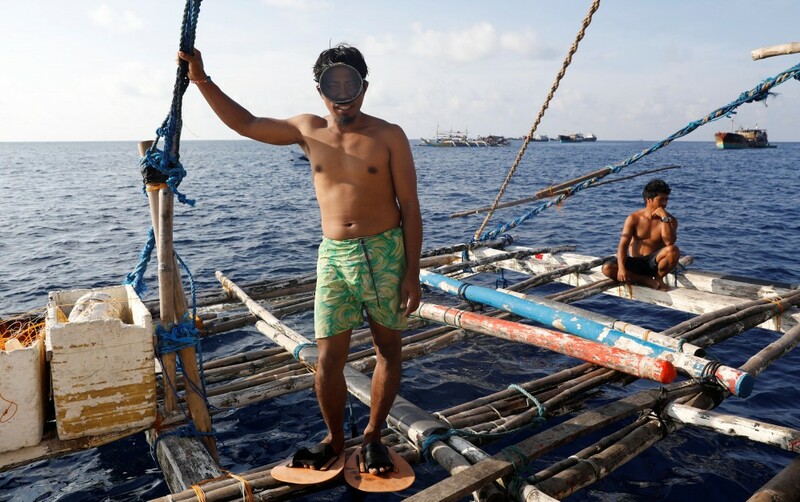 “It’s good that we’re now allowed inside, it helps me to support my family’s needs,” said Vicente Palawan, treading water inside the lagoon, a dive mask on his head and fishing spear in hand. 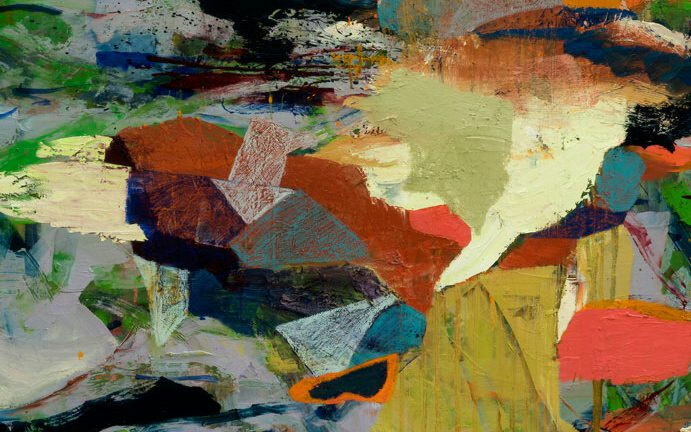 The coral outcrop is synonymous with the struggle for regional power, and a strategic tinder box. Along with China and the Philippines, Scarborough is claimed by Taiwan and Vietnam. Despite its concessions, China’s presence here is growing, with a larger contingent of coastguard and fishing boats than was indicated in satellite imagery late last year. That fuels concerns by Manila that Beijing may have ambitions for the Scarborough Shoal similar to the artificial islands it built and fortified in the Spratly archipelago, inside the Philippines’ exclusive economic zone. For now, there is a cordial coexistence between the Filipinos and Chinese who anchor side by side less than 100 meters (yards) from the 46-km (28-mile) triangle of rock that barely pokes above the water. Chinese in straw hats zig-zag from boat to boat, using hand signals to barter with Filipinos for cigarettes, liquor and fish. 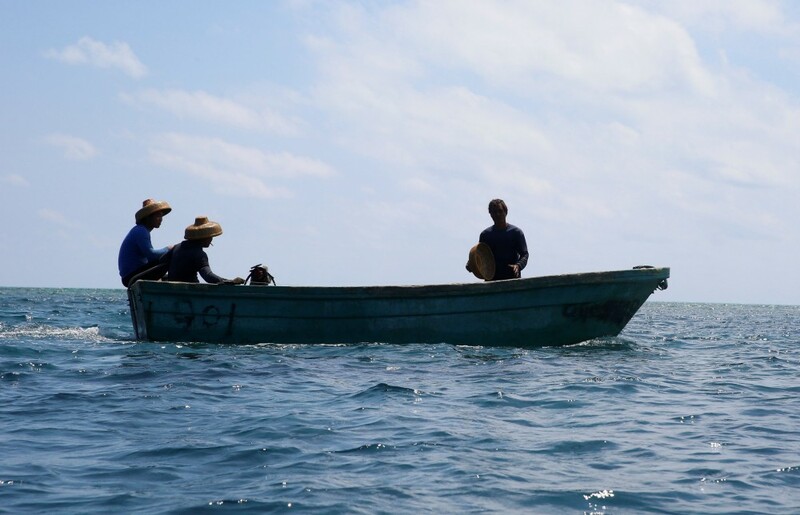 Small boats hum as they move in and out of the lagoon, through a buffering line of coral that has for centuries provided fishermen with bountiful catches and haven from storms. In crowded, rickety boats, Filipinos are outnumbered about ten-to-one and complain of competition from the beefed-up Chinese contingent. 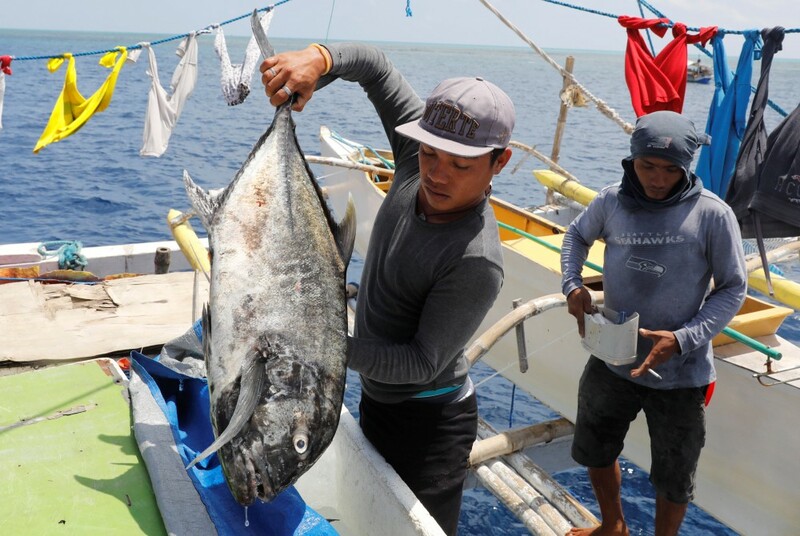 “We used to fish for a few days, now it’s a few weeks, but at least we have something,” said Ramil Rosal, a boat captain and fisherman for 20 years. 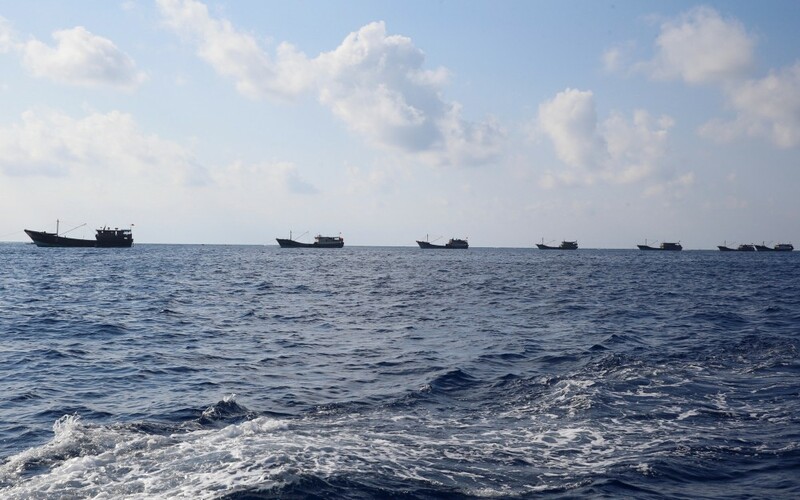 A half-dozen vessels from the China Marine Surveillance enforce their rules in an area the arbitration court in The Hague declared a traditional fishing site for all countries. 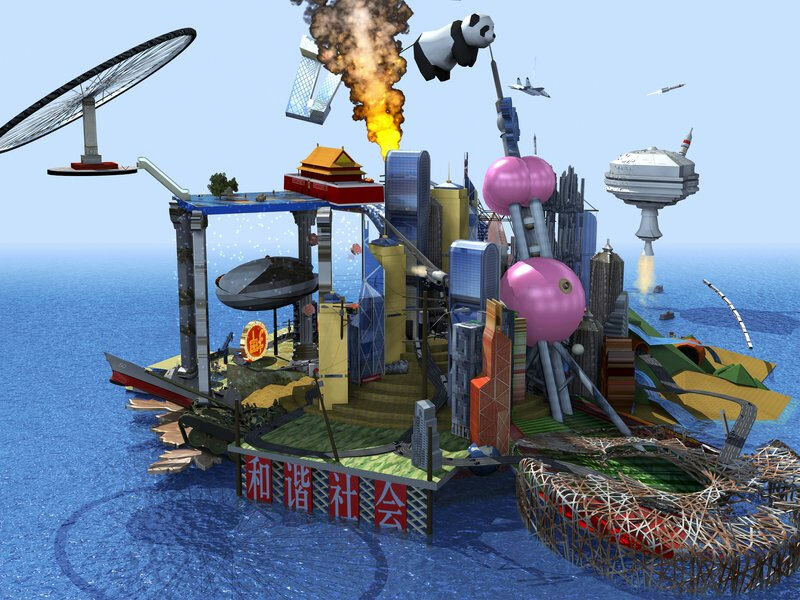 It did not rule on sovereignty of the shoal. Philippine Foreign Minister Enrique Manalo said the improved access was “certainly in line with the arbitral ruling”. 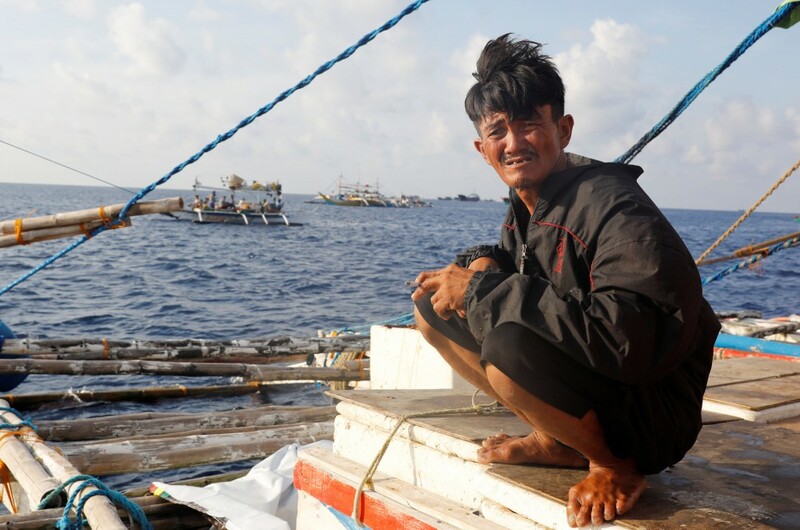 Fishermen told Reuters China’s coastguard prohibited larger vessels from entering the lagoon, but allowed small two-man boats to fish there freely. “It applies to Chinese and Filipinos,” Rosal said. Coastguard in high-powered dinghys were sometimes dispatched from large vessels to get a closer look as unfamiliar boats arrived in the area. Three coastguard ships were of the kind Manila last year said were capable of dredging. One was permanently inside the shoal, but it was unclear what it was doing. The coastguard collaborates with Chinese fishermen, shown when a Reuters team pulled up alongside a Chinese boat. A crewman dashed to fetch a hand-held radio and photographed the journalists. Moments later, a coastguard vessel changed course and moved at speed towards the area, but turned back after a brief chase. China’s foreign ministry did not immediately respond to Reuters questions about Scarborough Shoal. Its most recent comments are vague, stating only that the situation at the shoal was unchanged. Filipino fishermen said Vietnamese were also fishing at Scarborough, a sign that Hanoi could be testing the new arrangement. Reuters saw no Vietnamese boats, however, and two Vietnamese fishing organizations said they were unaware any had gone to the shoal. Vietnam’s government did not respond. While the situation at Scarborough is improved, tensions remain high. Reports last month that China planned to build an environmental monitoring station at Scarborough sparked consternation in the Philippines. Duterte said he could not stop China, but had been assured of no construction “out of respect for our friendship”. 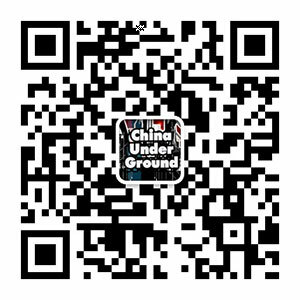 Just last week, Duterte ordered the upgrade of facilities on the nine reefs and islands the Philippines occupies in the South China Sea, alarming both China and Vietnam. For now, Filipinos are making the best of the detente. Some stay at the shoal for months. 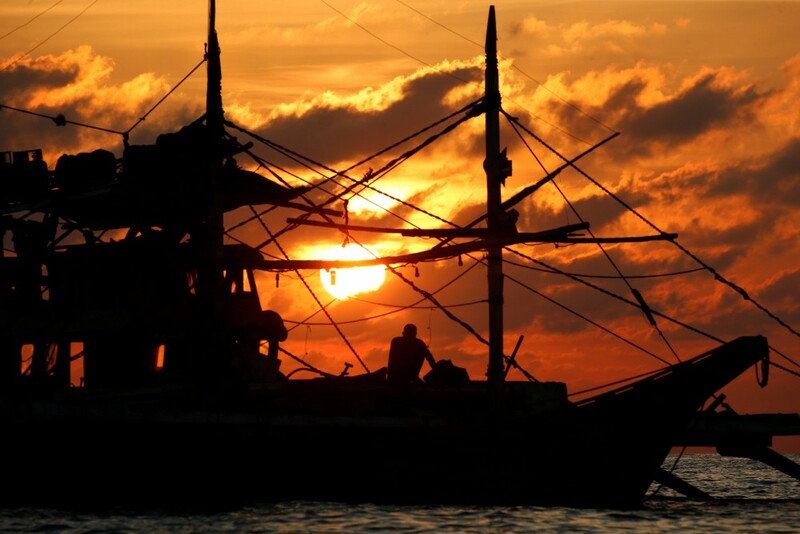 With blackened skin and torn clothes, men jostle for space on the overloaded bamboo outriggers of boats, transferring baskets of fish to a vessel making a run back to the Philippines. Captain Renato Etac, 37, chain smokes as he weighs the fish and meticulously logs details of each delivery. 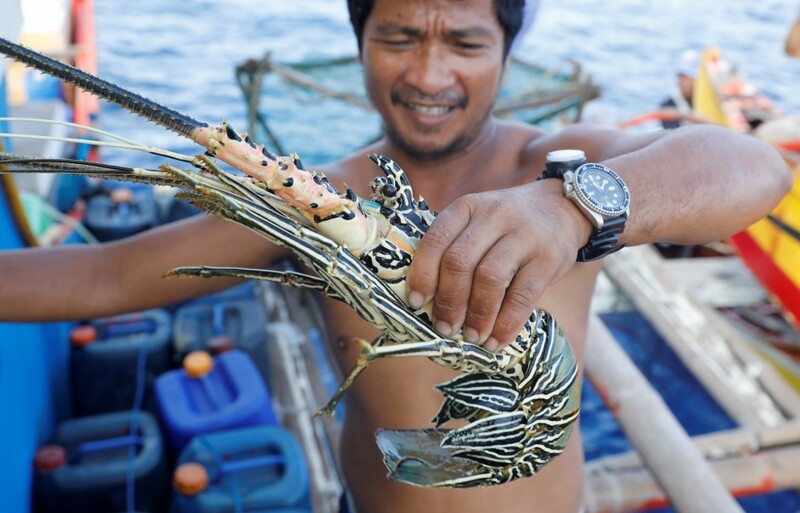 Though fish stocks are declining, Scarborough is a “fiesta” for Filipinos, he says. He even takes a positive view of China’s coastguard.